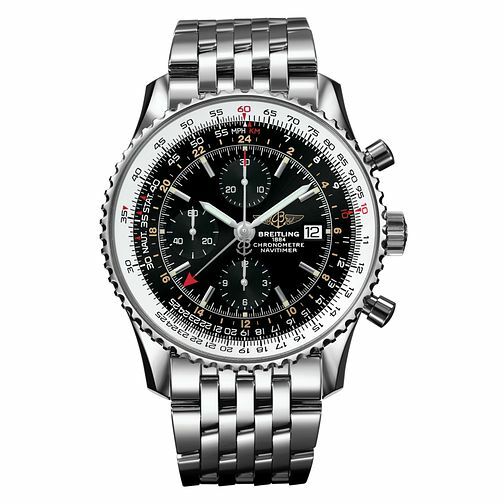 Crafted from stainless steel, this Navitimer World men's watch by Breitling presents a smart black dial, featuring a chronometre and date display at the 3-o-clock position. A silver tone bezels takes on a mechanical style design, with matching colour hands and case. A classic stainless steel bracelet teams this timepiece together, boasting a water resistancy of up to 30 metres.